The new institute will allow Russian scientists to monitor processes occurring in the sun. A new scientific institute in Siberia will study the impact of solar winds on communication systems and electronic devices. Russia is not the sunniest place on Earth. So why did the Russian Academy of Sciences (RAS) create the Institute for the Study of the Sun in eastern Siberia? 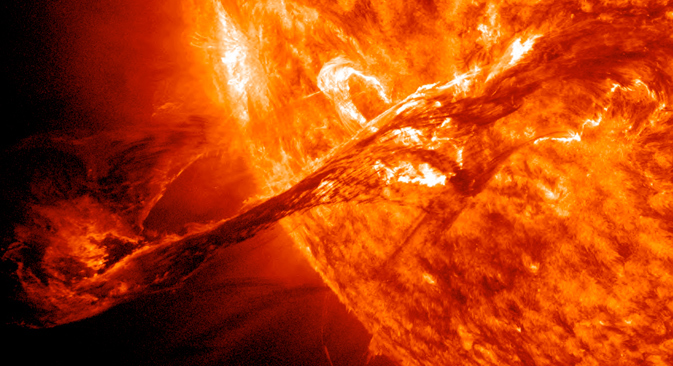 Russian scientists want to study solar activity to predict its impact on communication systems and electronics. The new institute will allow Russian scientists to monitor processes occurring in the sun, as well as in near-Earth space, and throughout our solar system. "Creating this research complex has long been our dream, with more than 15 years spent to bring it to fruition," Zherebtsov told RBTH. Advanced telescopes will be able to collect information on changes in the Earth's ionosphere and magnetosphere under the influence of the solar wind, and its radio telescopes will be capable of monitoring solar activity in any weather during daylight. According to Zherebtsov, its optical telescope with a diameter of three meters is unlike any other in the world, and it can study the solar atmosphere ten times more accurately than other telescopes. The research complex will also be equipped with a lidar system to explore the Earth's atmosphere in the highest range of altitudes, and with a special heating facility to diagnose the ionosphere. "This research will be very useful to scientists, as well as to all people because it will allow us to understand how the sun impacts electronic systems that operate both in Earth's orbit and on Earth itself," said RAS President, Vladimir Fortov. Read more: Is there life on 'Earth-2'?